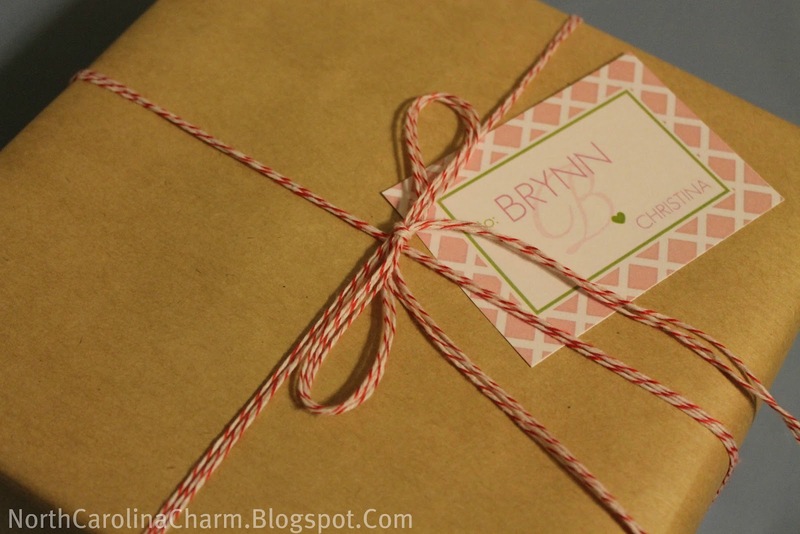 looking for while wrapping a gift for my good friend, Brynn. the ends back up around the sides of the box. 4. 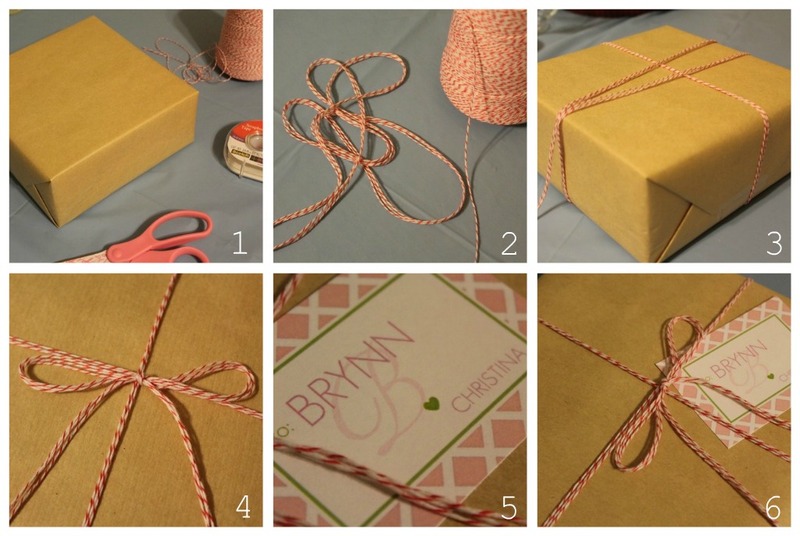 Tie the ribbon once in the center, then tie a bow. 6. Voila – extra special packaging! So cute! I love baker's twine! I love this look – so cute and pretty! Super cute! Tell us how you made that cute label for her! I love this wrapping. So cute! What cute wrapping! 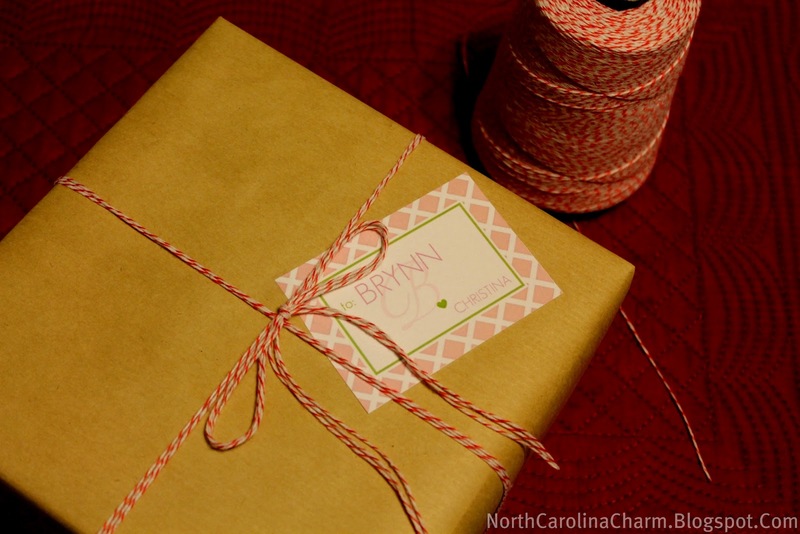 What program do you use to make your gift tags? Very clever! Love the tags … maybe you could do a fun little tutorial on how to make those? I would LOVE to figure that out because they add such a great touch to any gift! So cute!! 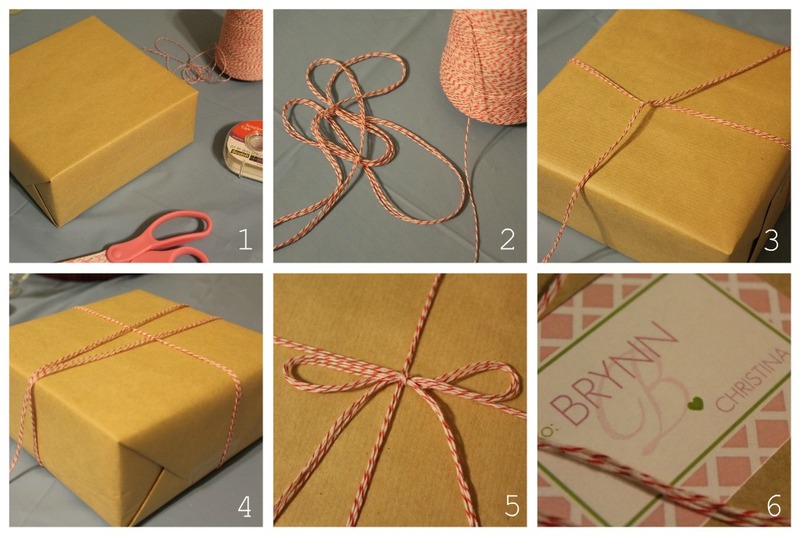 Love Baker's Twine! Love this! I have to buy some of this twine — michaels? Adorable! I just bought a bunch in navy and I'm incorporating it into our wedding invitation suite! Such a sweet touch for gifts! Love me some bakers twine lady. Such a classy look. I love those little tags!! Where are those from?? so adorable! Where did you get your twine? SO cute Christina! Love that little tag! And you know I can get down with some baker's twine. I put that stuff on everything. Instant cuteness. So precious! Kind of makes you want to not rip into packaging that pretty : )Have a great weekend, Christina! that present looks familiar :)also the site is looking fab!! !